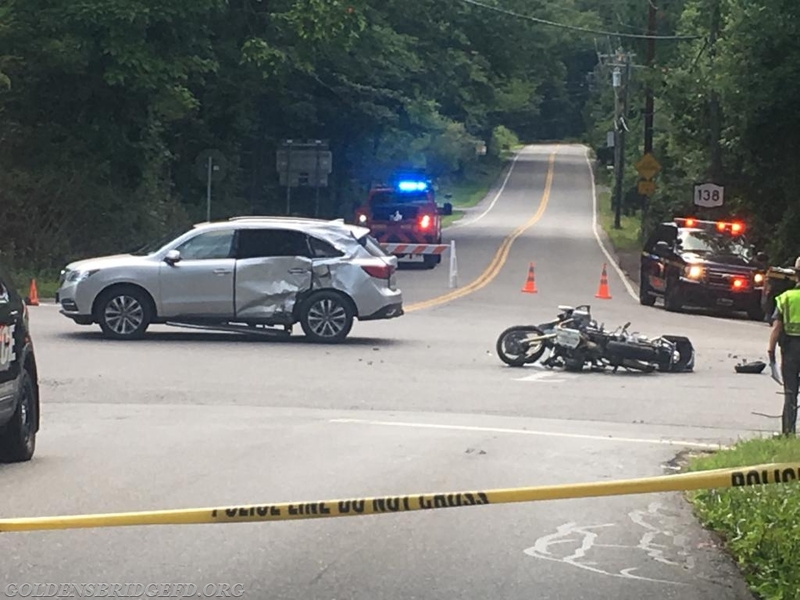 Just before 2:30 Friday afternoon, Golden's Bridge Fire Department, along with Lewisboro VAC & Westchester EMS, were dispatched in the area of Route 121 & Route 138 for a motor vehicle accident with injuries involving a motorcycle. Car 2142 was first on scene and reported CPR in progress. Engine 138 responded very shortly behind the chief and captain. Upon arrival of Engine 138, they took up a blocking position and the crew was initially assigned to assist with patient care. Unfortunately due to the severity of the patients injuries, the patient was pronounced dead on scene. The crew then went to work setting up a traffic pattern to protect the scene. Units shifted their operations to enable an extended road closure, with the help of Croton Falls FD and South Salem FD. The driver of the other vehicle involved refused medical attention on scene. 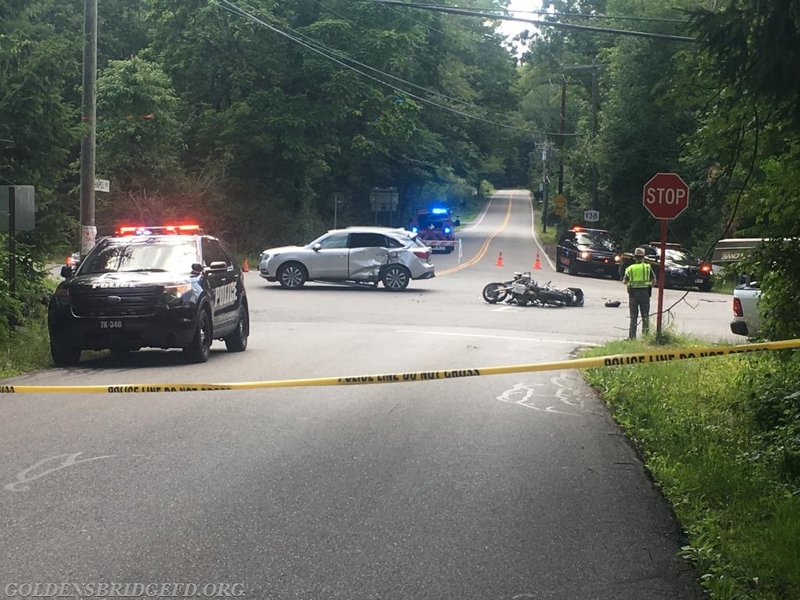 FD units remained on scene until the vehicles were removed from the roadway, and the State Police units finished their investigation. Units were operating on the scene for approximately 4 hours. Mutual Aid: CFFD - Car 2071, Car 2072, Mini-Attack 17(Road Closure at Sullivan and Route 121) SSFD - Car 2452, Utility 79(Road Closure at Todd and Route 121). A overlook of the accident scene. Another view of the accident scene.